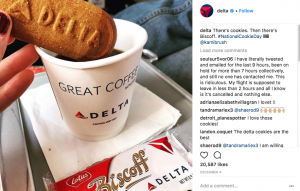 It appears that on or about December 20, 2017 Delta Airlines updated their SkyMiles Program Rules to include a section entitled “User-Generated Social Media Image Rights” whereby you would grant a very broad license for use of your image simply by using the hashtag #SkyMilesLife and/or #DeltaMedallionLife on your social media channel. By tagging photos using #SkyMilesLife and/or #DeltaMedallionLife, user grants Delta Air Lines (and those they authorize) a royalty-free, world-wide, perpetual, non-exclusive license to publicly display, distribute, reproduce and create derivative works of the submissions, in whole or in part, in any media now existing or later developed, for any purpose, including, but not limited to, advertising and promotion on Delta websites, commercial products and any other Delta channels, including but not limited to #SkyMilesLife or #DeltaMedallionLife publications. By broad I mean pretty much all but handing over the copyright on the image. The rights granted are perpetual, which means forever and ever and ever. 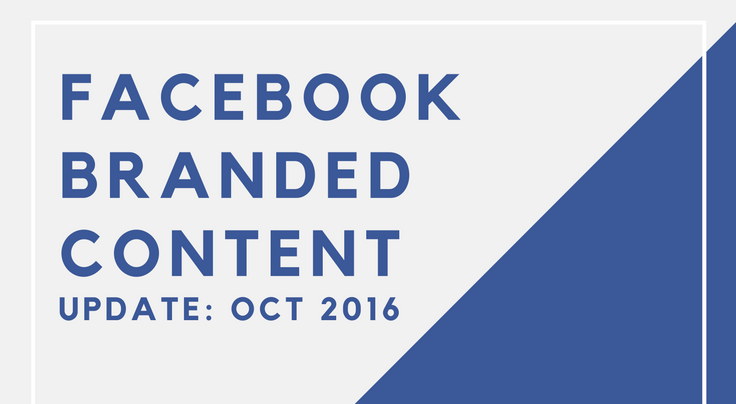 The rights granted are for ‘any media now existing or later developed’ which would likely includes so much more than your run-of-the-mill social media channels like Facebook, Instagram, Snapchat, and Pinterest. It’s a ‘world-wide’ grant so imagine all those social media channels in other countries we in the US don’t know (or care) about. There’s also the ‘create derivative works’ language which gives Delta the right to turn your little photo into a magazine cover, back side to playing cards distributed in First Class, prints for sale in their online shop, and so much more. And then there is the ‘for any purpose’ language which is as it states, for any purpose. Note there is nothing in there about providing attribution to the copyright holder. So, Delta, you want to take the image and do whatever you wish for infinity without providing any compensation, but you also want to pretend you’re the one who took the photo? Nice! 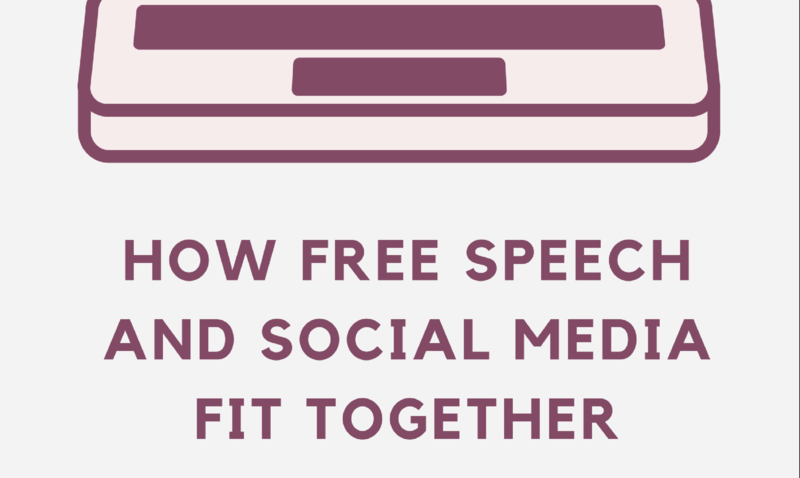 I’m pretty sure that’s not in the social media best practices playbook. And while this is an update for Delta’s program rules, this is not the first time I’ve seen this concept. It is, however, the first time I’ve seen it slid into rules specifically designed for members of a specific program. In early 2017 I started to see brands adding language to the Instagram profiles that stated if you used “their hashtag” your use of that hashtag alone would be your permission for them to use your photo. In fact, my first experience with this idea of having rights to what is hashtagged was with Marriott whose social media people sent me a private message on Instagram asking for permission to use a photo I took in Seattle. 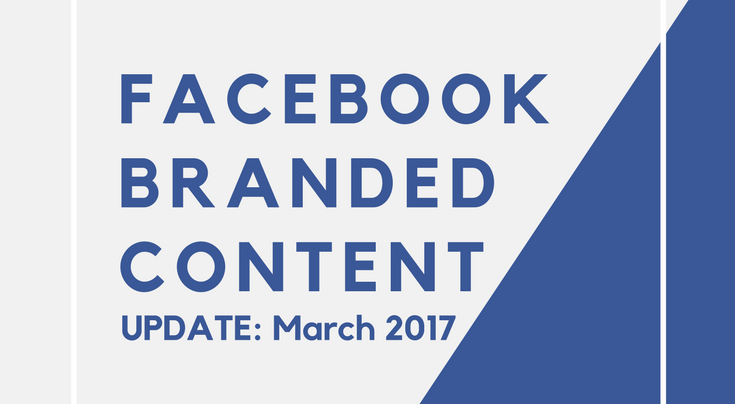 While Marriott was not automatically claiming rights, the release they linked to was very broad. Since that time, I started looking for brands that try to auto-claim rights solely through use of “their” hashtag. There are quite a few. This situation with Delta, though, is quite different because they are incorporating these terms into their program rules for their SkyMiles membership. Presumably Delta has advised their SkyMiles members of this program update seeing that’s it’s a significant grant of rights that most, if not all, program members would think is a material change to the rules. However, I wouldn’t be so sure. See the image below? Notice how there is no mention of this significant grant of legal rights update to their program rules. Can Delta do this? Short answer is YES, they can do this. It’s their program and they can have whatever rules they want. OK, they can’t really have any rules they want, all their rules have to comply with the law. But there is no law that says ‘thou shalt not add in language to force me into either being a member and giving you these broad rights to my photos or having to give up my membership’. If you want to be part of the program you abide by all legal program rules. Why would Delta do this? I have no idea. Considering one would think such a significant program rule change would have gone through legal and at least one lawyer would say this is a stupid idea, one would think it would have been given the kaibosh long before Delta has to deal with a social media backlash. Is this legal? Again, short answer is YES. There are no laws that prohibit private businesses from including rights grants in their program membership requirements. Copyright law does not require that payment or other compensation be provided to grant someone a license. And when non-exclusive rights are transferred copyright law does not mandate that the license be in writing, much less require that the grantor somehow affirmatively consent to such grant. However, there may be an issue with (i) notice to members and (ii) the application of this policy to people who are not members of their program. What can you do? If you are a member of the Delta program you can leave the program. If you don’t leave the program you may be giving your consent to be bound by this new term. The Delta program rules state “Delta and its program partners reserve the right to change program rules, benefits, mileage regulations, Award Travel, Medallion qualification requirements and levels, fees, Award prices, Pay with Miles terms and conditions, and special offers at any time without notice.” and despite this being quite a significant change in the rights of your intellectual property Delta’s position would likely be ‘take it or leave it’. However, this term is not your typical program change. This new license greatly impacts your legal rights to control how your intellectual property is used and it’s quite possible a court would determine that stripping such autonomy from members is not permitted. To whom does this policy apply? Seemingly, it would only apply to Delta SkyMiles program members since it’s incorporated into those program rules. 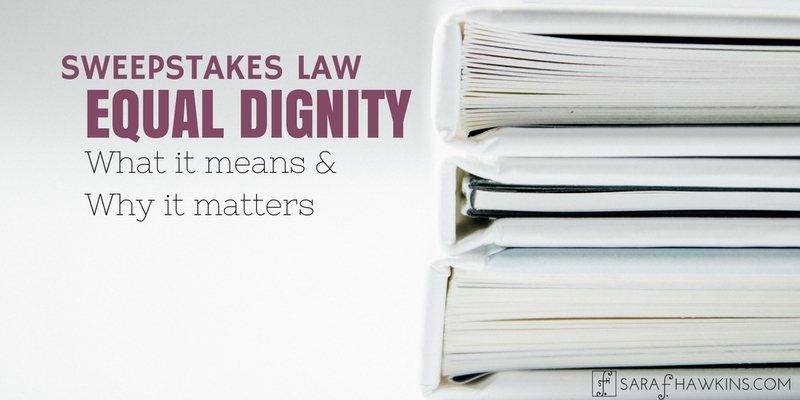 However, since minors can be members of the SkyMiles program, it’s not clear if such a significant grant of rights would apply to minors without affirmative consent from a parent or guardian. Non-members can not be bound by membership rules. 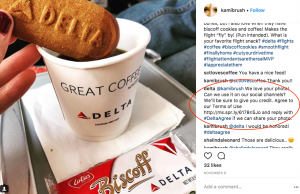 However, it’s unclear if Delta’s social media team will attempt to determine if those who use the #SkyMilesLife and/or #DeltaMedallionLife hashtags are members of the program. What does Delta currently do if they want to use your photo? On Instagram, Delta will comment on a photo and leave this link – http://ms.spr.ly/6178rI5Jo – and ask you to reply with #DeltaAgree. I see this type of ask all the time. Never mind that it’s not a clickable link and cutting and pasting on Instagram is a pain in the neck, I see brands do this all day, every day. And I’m skeptical that anyone actually reads the terms before agreeing. See below what this looks like. 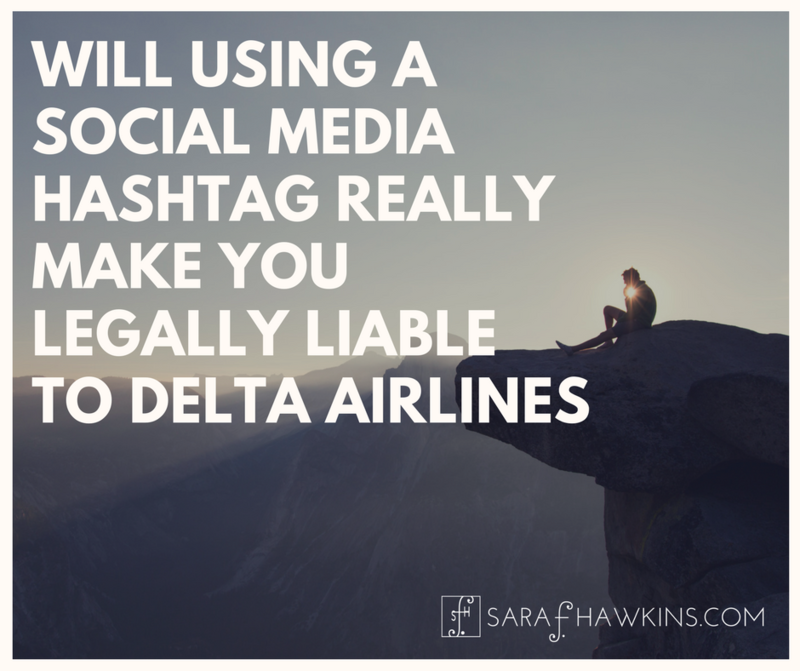 So, will using the hashtags make you legally liable to Delta? I don’t think “legally liable” is the correct term here. Will using the hashtag cause you to relinquish very significant legal rights to Delta without compensation or attribution? If you’re a member of their SkyMiles program, Delta seems to think so. I’m pretty sure, though, there are plenty who disagree with Delta’s position on this. Relinquishing such significant legal rights, perhaps without actual knowledge of such transfer, would seem to violate long-held public policies surrounding copyright ownership and licensing. For those who are not members of the SkyMiles program, it would be very difficult for Delta to try and claim these program rules apply to you. However, Delta, and many other companies large and small, do ask people to assign their rights by agreeing to license terms they may or may not read. The common sense advice here is don’t agree to let a brand use your image unless you understand what you’re agreeing to. Keep in mind that with these hashtag programs brands are undertaking they’re potentially interacting with minors and not determining if the user is a minor. While the hashtag program may have separate terms that require the individual to be at least 18 years old (despite some jurisdictions in the US, Canada, and around the world having an age of majority greater than 18), social media users can (legally) be as young as 13. And incase you didn’t know, contracts with minors are unenforceable unless their parent or guardian also provides consent. What does the indemnification clause mean in these terms? Even though this hasn’t been part of the discussion, in the new Delta program rules there is an indemnification clause. There is also one in the terms link their social media team uses on Instagram. 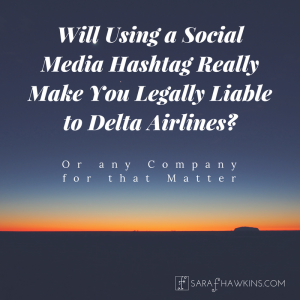 What this term means is that YOU are liable for and must cover any liability Delta faces for using your image. So if your image infringes copyright or violates a person’s right to privacy or their right to publicity but Delta uses it and they get sued or suffer some sort of loss, Delta can come to you and require you to reimburse them. Crazy, right?! Let your voice be heard. If you don’t like this, let the brand(s) know. They’ll stop doing it if enough people complain. I hope you found this useful. If you did, check out my other articles, subscribe to my website, or hire me to speak at your event. This is really terrific. Thanks for the post. It is outstanding. Such a relevant and unquestionably true phenomenon; as companies start to shape future policies for the good and services around social media use and trends we will see more and more of such legalities being thrown at the average consumer. Very eye-opening post. I’ve been wondering about this for a while too, and I’m glad that I was able to locate this article so quickly. Thanks for your opinion on all of this Sara.